Papillon is giving away two sets of 2 tickets to this year’s Ideal Home Show in Glasgow, being held on 31 May- 3 June 2018. For your chance to win and to enter visit our Facebook page. 3) Comment on the post. Competition closes on Wednesday 23rd May 2018. Two winners will be drawn at random and announced thereafter. 1. The promoter is: Papillon. Company name: Papillon Designs & Landscaping Ltd (company no. SC376012) whose registered office is at Skye Steadings, Kingswells, Aberdeen, AB15 8RN. 2. The competition is open to residents of the United Kingdom aged 18 years or over except employees of Papillon Designs & Landscaping Ltd and their close relatives and anyone otherwise connected with the organisation or the competition. 6. Only one entry will be accepted per person. 7. Closing date for entry is Wednesday 23rd May 2018. After this date, no further entries to the competition will be permitted. Entries must like and comment on the competition post to enter. The winning entrants must be following Papillon Landscaping on Facebook to enter. 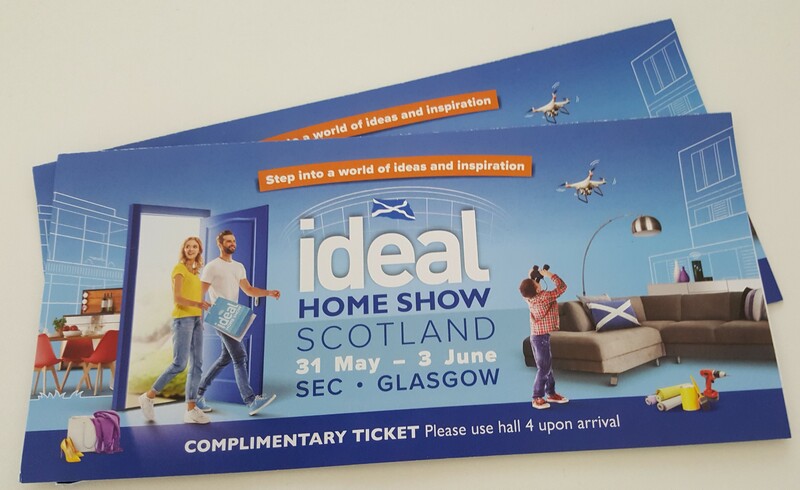 2 x 2 tickets for The Ideal Home Show 2018, being held from 31st May 2018 – 2nd June 2018 in Glasgow at the SEC. The tickets will be valid for one day only from 31st May 2018 – 2nd June 2018. The prize is as stated and no cash or other alternatives will be offered. The prizes are not transferable. Prizes are subject to availability and we reserve the right to substitute any prize with another of equivalent value without giving notice. 12. Winners will be chosen at random from all entries received and verified by the Promoter. 13. The winners will be announced on Facebook, within 48 hours of the closing date. If the winner cannot be contacted or do not claim the prize within 3 days of notification, we reserve the right to withdraw the prize from the winner and pick a replacement winner. 17. The competition and these terms and conditions will be governed by Scottish law and any disputes will be subject to the exclusive jurisdiction of the courts of Scotland.